Ambrose Thornley Snr was born in 1819 at Lancashire, England, son of Robert Thornley. He arrived in 1842 when he married Mary Ann Helsby at Woolloomooloo.There was one child, Ambrose, of the marriage. Thornley Snr died on 5 March 1884, aged 64 years. Mary Ann Thornley died 7 April 1885, 66 years. Between 1844 and 1851 Thornley was variously described in directories as a stonmemason and greengrocer, he was working around brickmakers, carpenters, shinglers and plasterers in the building industry, bartering their labour for materials. on Bishopgate and St Phillips estates. Energetic and ambitious, and recognised as a prominent local builder, he was moving up physically and socially from Arundel Terrace to Drayton Lodge, Kennedy Street Glebe Point in 1875. He left estate of 3,532 pounds sworn for probate . 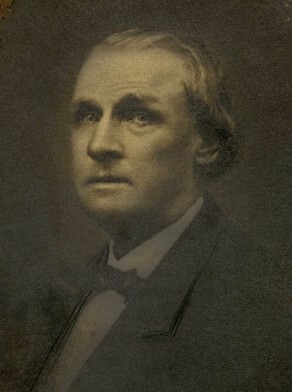 Thornley urged people in 1860 to support the principle of free selection before survey; “It was the fault of the government”, he said, “that it did not grow its own foodstuffs”, and in 1861 he chaired a meeting at the University Hotel Glebe to take steps to establish a National School.Thornley gave evidence to the Noxious & Offensive Trades Inquiry in 1883 where he gave evidence that while watching the Glebe regatta from the balcony of his home, Drayton Lodge in 1882, “not less than ten minutes after the last race there was a great flow of blood which came over the rocks there from the dessicating place” at the abattoir. Back in 1875 he also was a witness to the inquiry by the Sydney City & Suburban Health Board. Ambrose Thornley Snr extolled the virtues of the Volunteer movement on formation of a Glebe branch in 1860. He ‘knew that the volunteer was expected to fight in the case of invasion. It was necessary for every man to defend himself at times”…..and the colony “had not means to support a regular army’. Thornley presented a petition to Glebe Council in September 1868 from residents of the south end of Forest Lodge Estate praying that a passable road be made for their use, and as a consequence Glebe Council communicated with the Pyrmont Bridge Company of the bad state of the road between Glebe Road and Orphan School Creek.